On my travels over the week i popped into the V&A to see Mat Collishaw's Magic Lantern installation. 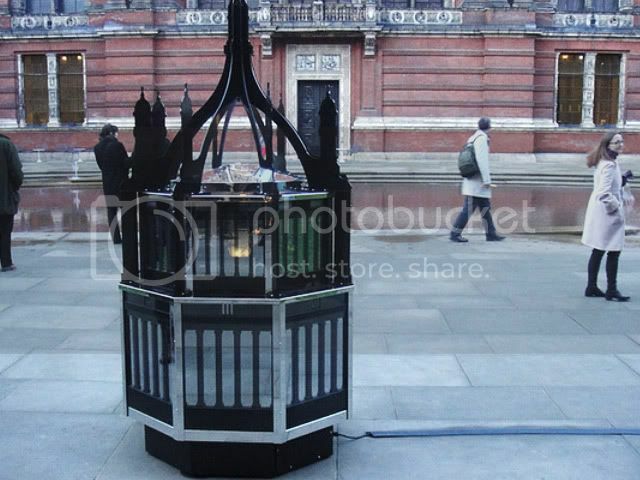 Situated at the top of the V&A building Collishaw has constructed a giant 3-D Zoetrope which gives the illusion of moths flying around a lantern. 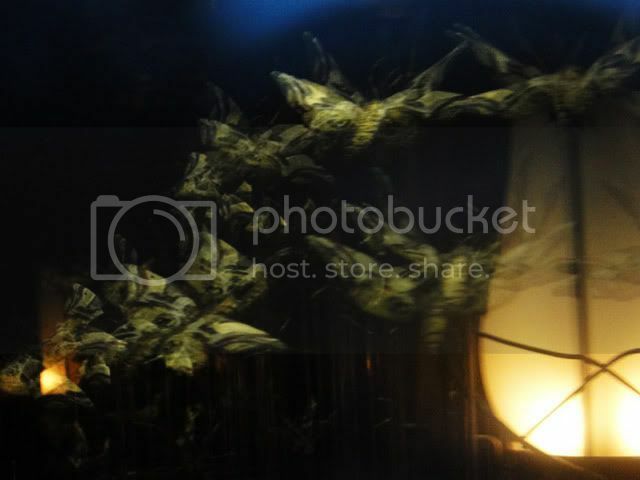 Unfortunately a 3D Zoetrope requires strobe lighting to work effectively, so as it was day time we couldn't view it. Instead i made my way into the V&A garden to see the smaller scale version which, with a bit of screen trickery can still operate in daylight. For those interested there is a short video of the piece as well as a talk with Collishaw on the V&A website here.